This command module camera, carried on Apollo 11, was a simplified version of the commercial Hasselblad 500 EL motorized film advance camera. Used for color still photography, it could operate in the command module or in the vacuum of space. This object is on display in the Apollo to the Moon exhibition at the National Air and Space Museum in Washington, DC. 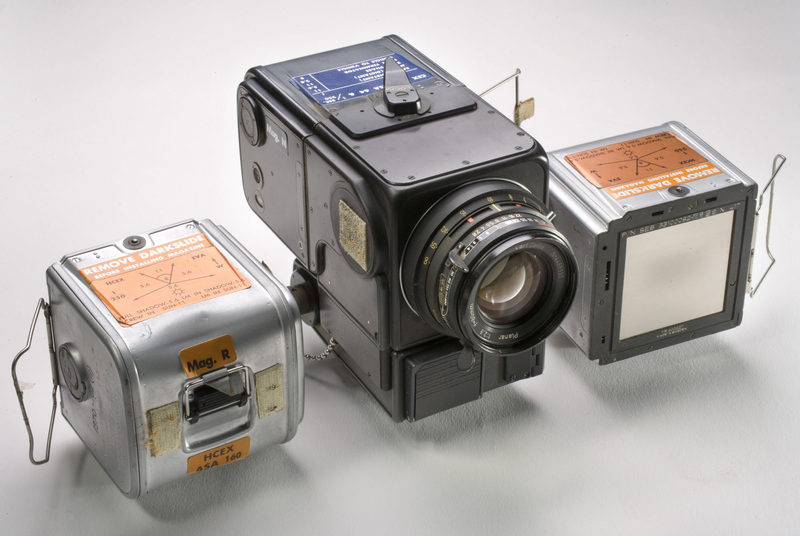 By the end of Project Mercury, Hasselblad cameras such as this one, used in the Apollo 11 command module, became the standard for still photography on American space missions. Known for their high quality construction and ease of use, the electric Swedish-made cameras featured a motor-driven mechanism that prepared the film and shutter when the camera was activated. Hasselblad cameras could be modified for use inside the spacecraft or on the lunar surface, with easily detachable black and white or color film magazines. 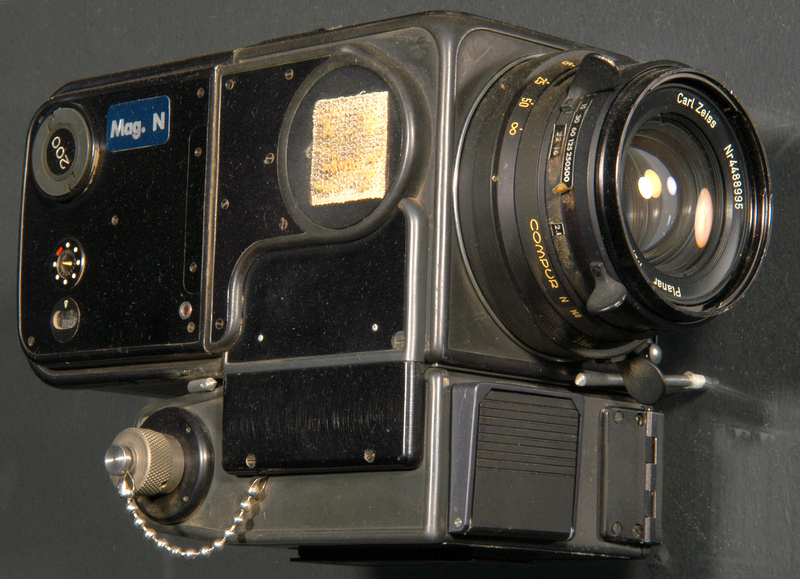 NASA transferred this camera to the Museum in 1970.